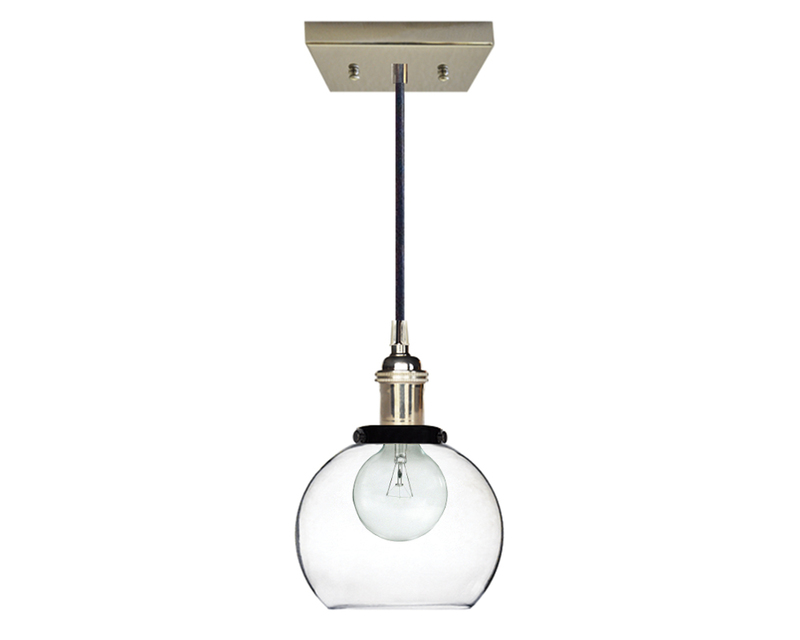 Accent you room with this modern style mini pendant light, it features a glass globe with exposed hardware. 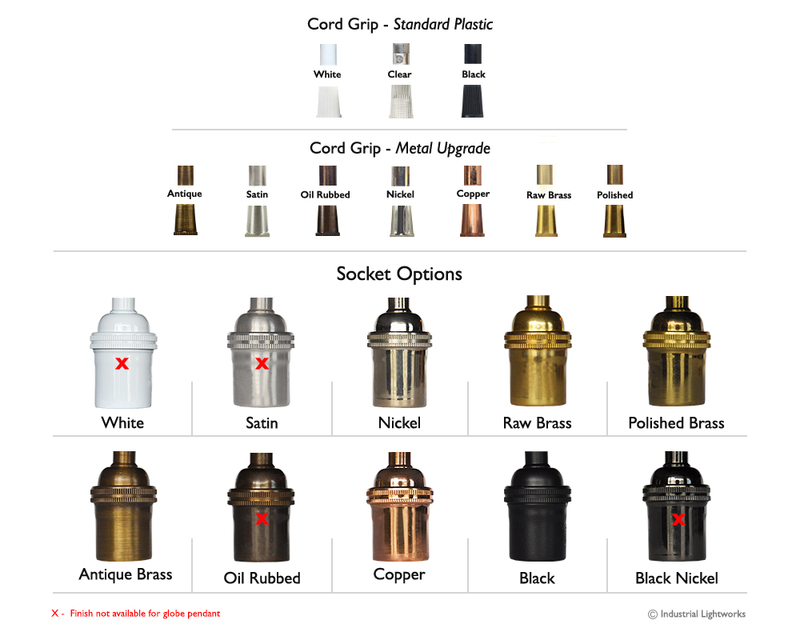 The solid brass socket, canopy, and cord grip are finished in nickel with a black glass holder. 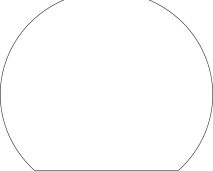 Available with or without the dimmable globe bulb.